You know, this being video games and all, most of the concept art we feature shows men with guns, or destroyed landscapes or sometimes men with swords. Today, we'll change that. Well. Mostly. There are still some men with swords, but today's Fine Art has a gentler touch to it. 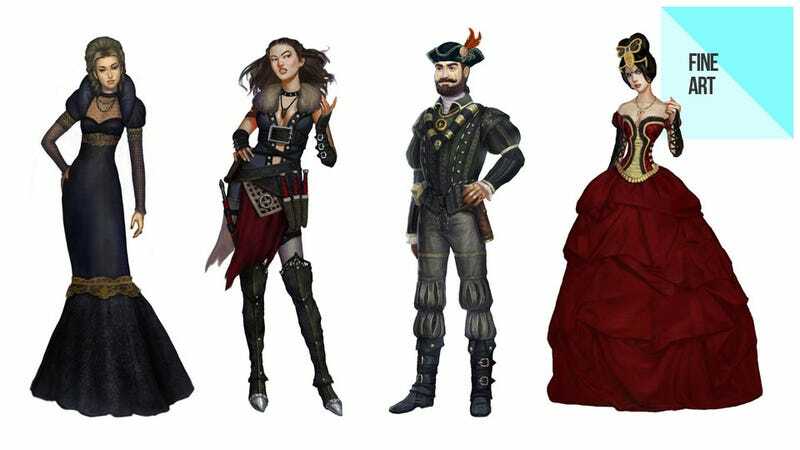 These images are by artist Nadia Mogilev, who works for EA and did some concept art work for The Sims: Medieval expansion Pirates and Nobles. Nothing in ruins, nothing exploding. Just some great costume design! You can check out more of Nadia's stuff at her personal site, below. OK, so this last one isn't actually in the game. But it should be.